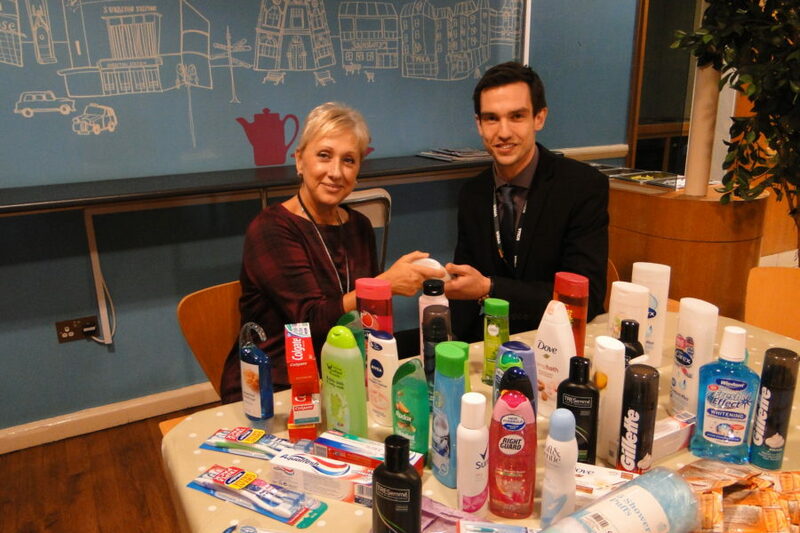 Our friends at DST, a company based near Surbiton station have made donations for YMCA Surbiton residents as part of their annual Hygiene Drive. Every year DST get in touch with us to make donations for YMCA Surbiton residents and we are enormously grateful for their generosity. Staff members at DST are encouraged to donate items that will benefit members of the local community, and DST selected YMCA St Paul’s Group as their local charity. As residents come to us often off the streets with no money or personal items, a package of toiletries is a welcome gift as they make themselves at home in the hostel. It is expensive to stock up on toiletries from scratch, so shower gel, toothpaste, deodorant and razors come in very handy. “We’re happy to give these items to the residents at Surbiton, knowing it will make a real difference to people’s comfort in difficult times,” says Debbie Riti, DST office co-ordinator. DST also donate items as part of their Education Drive in September each year, and last September we received donations of pens, pads, folders and other stationery with which we made up college packs, as many of our residents study at local colleges to gain qualifications to help them find work. If you think you would like to donate items such as toiletries, stationery, arts and craft materials to our hostels in Surbiton, Wimbledon and Walthamstow, do please get in touch at enquiries@ymcalsw.org or call our centres direct to identify what they need most.